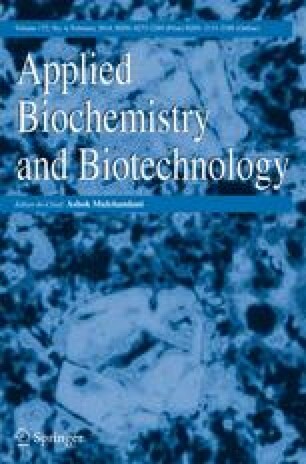 For the first time, corncob acid hydrolysate was used for microbial oil production by the oleaginous yeast Lipomyces starkeyi. After hydrolysis by dilute sulfuric acid, corncob could turn into an acid hydrolysate with a sugar concentration of about 42.3 g/L. Detoxified by overliming and absorption with activated carbon, the corncob hydrolysate could be used by L. starkeyi efficiently that a total biomass of 17.2 g/L with a lipid content of 47.0 % (corresponding to a lipid yield of 8.1 g/L) and a lipid coefficient of 20.9 could be obtained after cultivation on the corncob hydrolysate for 8 days. Therefore, L. starkeyi is a promising strain for microbial oil production from lignocellulosic biomass. Glucose and xylose were used by L. starkeyi simultaneously during lipid fermentation while arabinose could not be utilized by it. Besides, the lipid composition of L. starkeyi was similar to that of vegetable oils; thus, it is a promising feedstock for biodiesel production. Chao Huang and Xue-Fang Chen have the same contribution and are co-first authors. The authors acknowledge the financial support from a project of Guangzhou Science and Technology (2013J4300031), the Support Plan Project of the National Science and Technology (2012BAD32B07), the National Natural Science Foundation of China (51378486, U1261116), the Natural Science Foundation of Guangdong Province (S2012040007546), and the Foundation of Director of Guangzhou Institute of Energy Conversion, Chinese Academy of Sciences (y107rf1001).